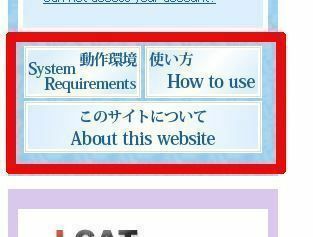 This is a site developed by and maintained by the University of Tsukuba International Student Center, The Center for Distance Learning of Japanese and Japanese Issues. 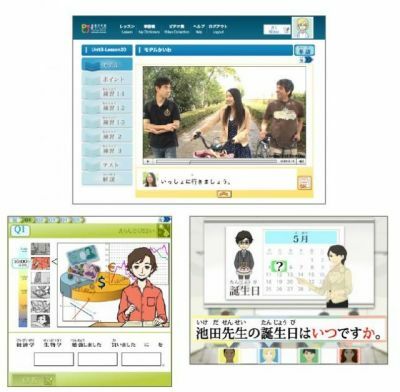 With a "PC+high-speed Internet service+headset", you can learn Japanese kana, grammar and conversation etc. anywhere. 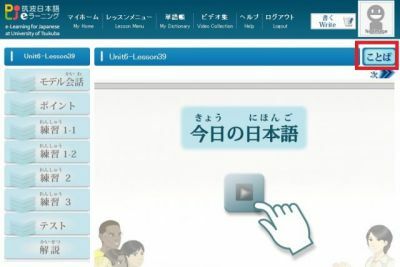 Even if you’re busy, as long as you have a net connection, you can study starting with the basics of Japanese through easy to understand videos, audio, grammar explanations and practice. 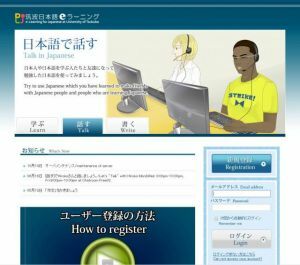 You can enjoy communicating in Japanese with fellow learners of Japanese. 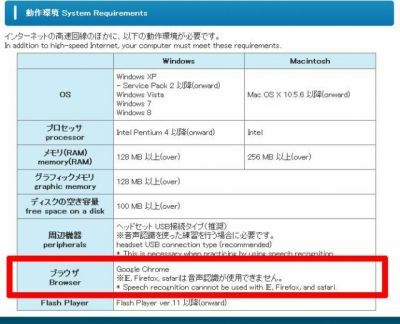 The Chrome browser is recommended. 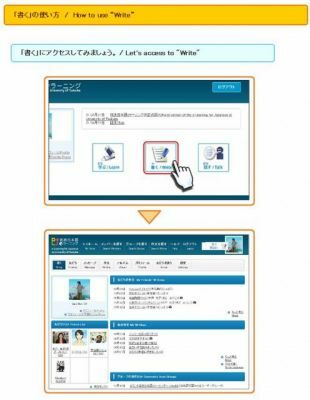 There are explanation PDFs provided (English, Japanese, Chinese, Korean). 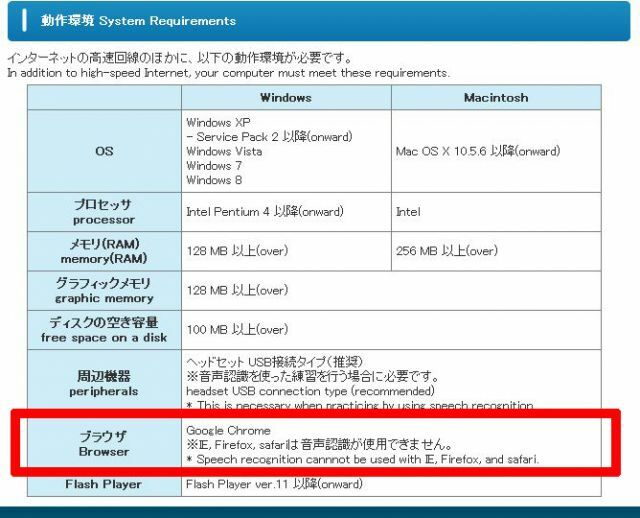 First, check the system requirements. 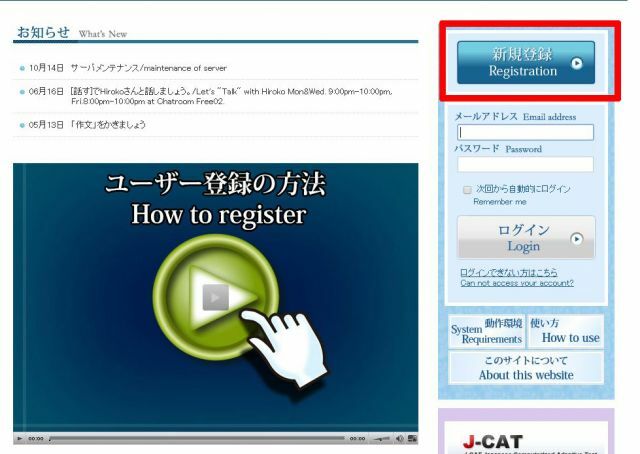 The site also has a detailed and easy to understand “How to use” section, so check it out before registering. 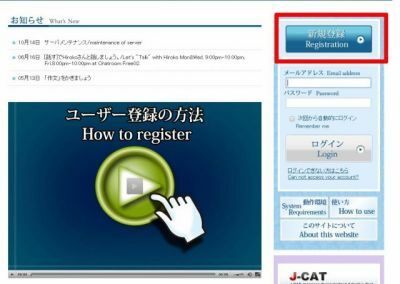 The registration process is also explained through a video. 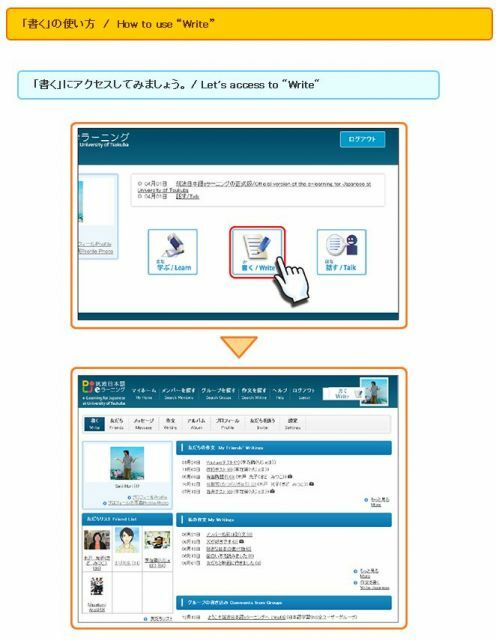 After registering, there are 3 menus you can access, 「学ぶ/Learn」「書く/Write」「話す/Talk」. 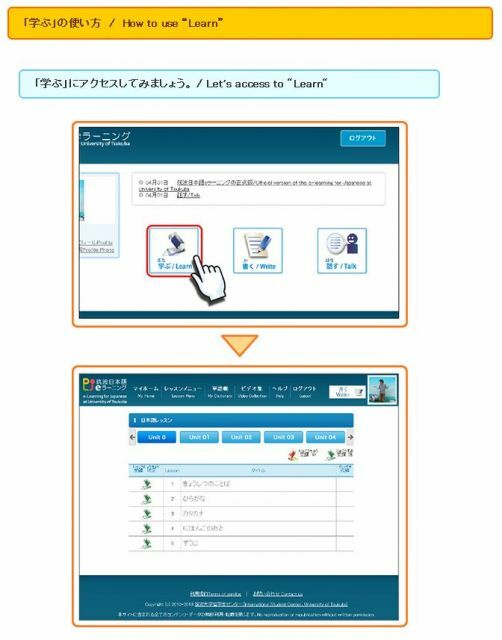 Accessing it, there are Units for each Japanese lesson. There are Units from 0 to 24, but currently, only up to Unit 9 is available. 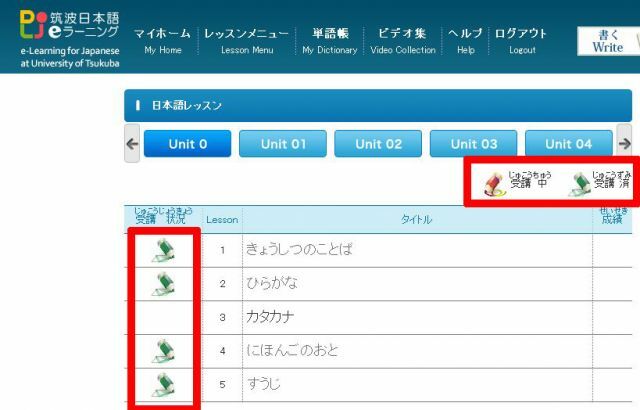 In every Unit, there are multiple lessons. 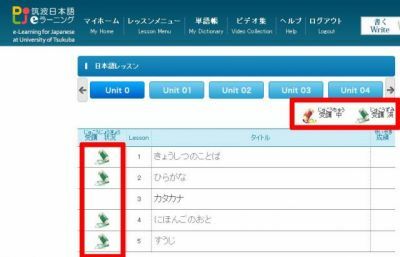 In the lessons, there are various contents to assist solo learning, like practices, quizzes, games, conversations (with scripts), studying points, grammar explanations and more. 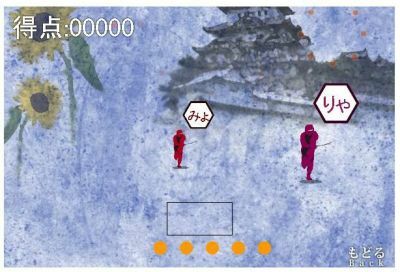 A game for learning “kana” featuring ninjas. There is also a “ことば Vocab” area, so you can check the vocabulary and listen to the pronunciation before starting. You can also save words to your Vocabulary List. An icon is shown to indicated whether you have taken a lesson or not and your score is shown as well. When you access 「書く/Write」, you can see the compositions written by your friends and you can write your own compositions as well. Also, you can interact by writing comments as well. 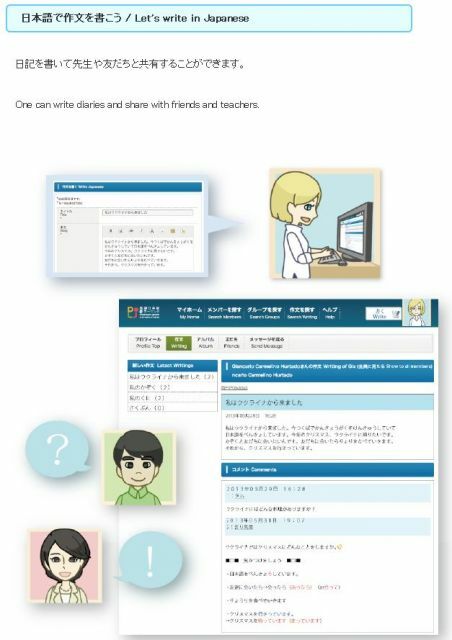 Even if you study alone, you can make friends on the site and interact with them, and study with them together as you continue. 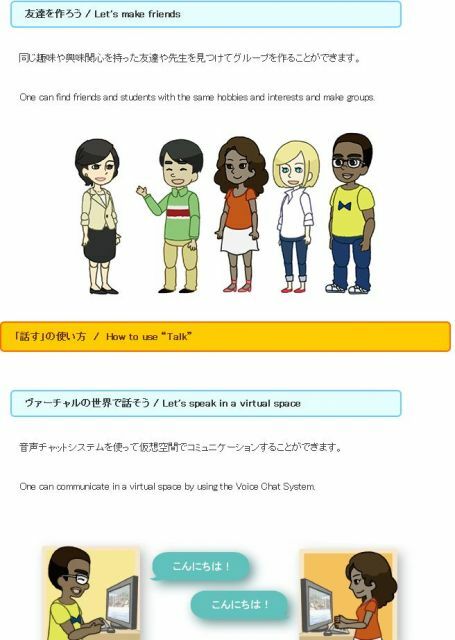 In 「話す/Talk」, you can make your own avatar and during set times, you can communicate in an virtual space. You can find out on what day and what time the chat room is open by checking the top page or in the information area of your personal page after logging in. 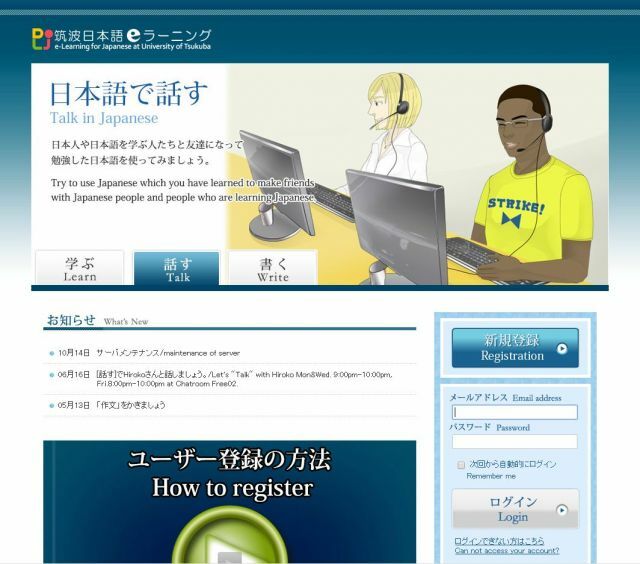 There is a large amount of material, easy to understand explanations, and also videos, audio and even chatting with an avatar and making friends, so this site makes continuing to study Japanese very fun. This site was introduced on the eな Information Station.